Maintenance of your 4 wheel drive is about so much more than just a fixed price service. 4×4 vehicles are by nature subjected to an extreme range of expected and unexpected forces, conditions and environments. 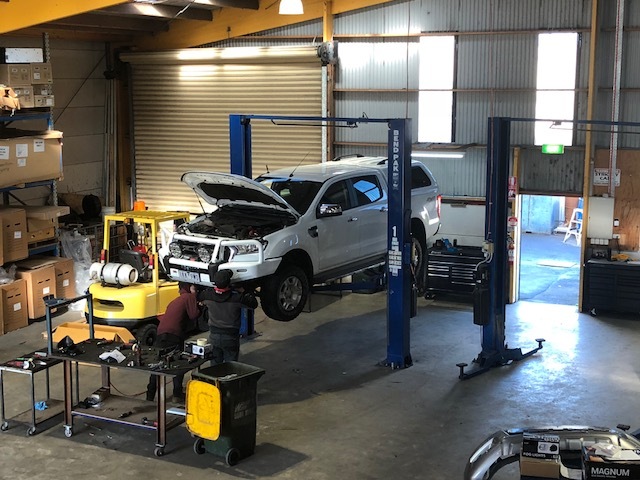 From towing a horse float or trailer, working on the farm, to traversing through water and mud, you need to make sure your 4 wheel drive is going to receive the correct attention to detail when it comes to servicing. The WARRNAMBOOL OFFROAD team have pretty much seen it all, and when it comes to ensuring your next trip of a life time is a dream come true rather than a nightmare. You have that peace of mind that when the job is done you will be prepared to the highest level. Log Book Servicing for warranty compliance. Preparation for your massive trip of a lifetime with a pre-trip inspection and detailed report. All types of 4×4 utes and wagons.